Nearly 65,000 Ohio State engineering and architecture alumni live, work, and volunteer in communities around the world. Buckeye engineers are everywhere! Growing up in the rural South African village of Kopela, alumna Margaret Mkhosi never imagined that she’d become an engineer—let alone the first female nuclear engineer in her homeland. Today she leads the National Nuclear Regulator’s Center for Nuclear Safety and Security in South Africa and mentors other women so they too can be successful in STEM. Kopela was so remote, the schools lacked critical resources like computers and labs. But thanks to a supportive family and mentors, Mkhosi later became the third woman to earn a PhD in nuclear engineering at Ohio State. Alumnus Jeff Morosky makes Disney magic happen at theme parks and resorts worldwide. As Disney Imagineering’s Landscape Architecture Design Studio Executive, he specializes in telling stories through nature. Since 1997, Morosky (’81, landscape architecture) has led the Landscape Architectural Studio responsible for Disney Theme Parks and Resorts worldwide, including retail, dining and entertainment districts. He directed the design and development of numerous notable and award-winning projects, including Anaheim’s Downtown Disney, Hawaii’s Aulani, Hong Kong Disneyland and Disney’s Animal Kingdom Lodge at Walt Disney World in Florida. Creating highly immersive attractions and experiences that transport guests to a world of fantasy begins with storytelling, Morosky said, which is interwoven into every facet of the experience, including the outdoor environments. Read a Q&A with Jeff. With more than 30 years of experience in leadership roles at industry giants like Microsoft, Motorola and AT&T, alumna Maria Martinez knows what it takes to succeed in the high-tech business world. Now Salesforce’s president of Global Customer Success and Latin America, this Buckeye engineer is passionate about helping the company’s customers and her team define and realize their own ambitions. Named one of the 50 Most Powerful Latinas in corporate America in 2017, Martinez is most inspired by helping future generations, especially women and other underrepresented groups, find their own path to success. Read a Q&A with Maria. Alumni Michael Snyder (left) and Anjan Contractor (right) are leading efforts to make 3-D printing commonplace in two unexpected places.Since its origin in the early 1980s, 3-D printing has evolved into a tool with limitless possibilities. Now, two enterprising Buckeye engineering alumni are leading efforts to make 3-D printing commonplace in two places you might not expect: the final frontier and your favorite pizzeria. As chief engineer and co-founder of Made in Space—the startup that designed and built the first 3-D printer ever to operate off-Earth—Michael Snyder is realizing a lifelong ambition. William White’s ('92) football career was the stuff of dreams—four years as a starting Buckeyes’ cornerback, followed by 11 seasons playing in the NFL. Yet, the accomplishment he values most is becoming an engineer. Leading a private liberal arts college might not seem like the perfect fit for an industrial engineer, but the engineering education she gained at The Ohio State University helped alumna Colette Pierce Burnette feel well-prepared for the role. Pierce Burnette became the sixth president and chief executive officer of Huston-Tillotson University, a historically black institution in Austin, Texas, last July. She’s the first female president of the merged institution and only the second female leader in the university's 140-year history. 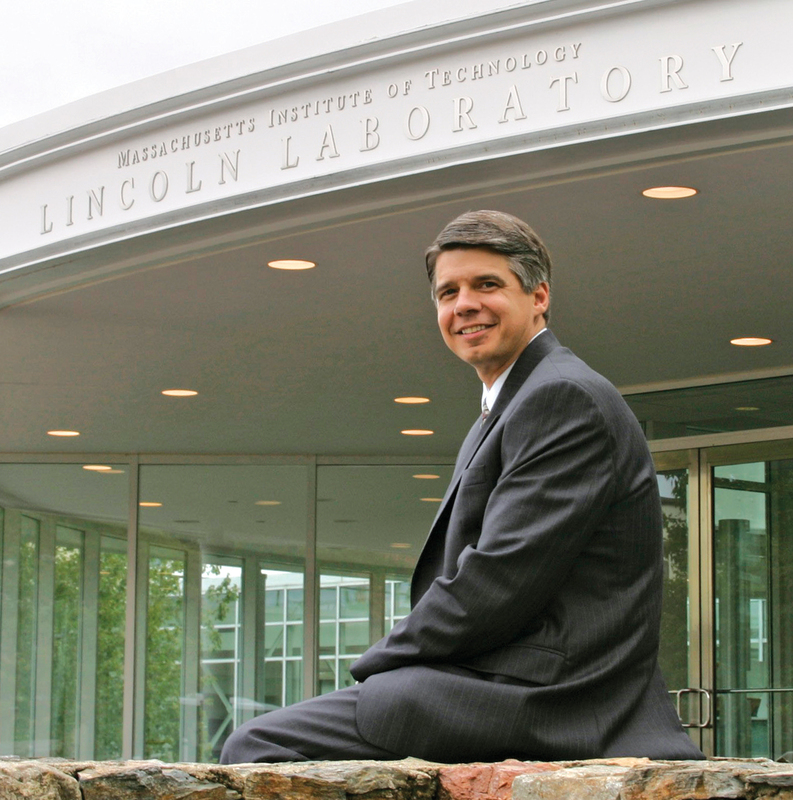 From conducting the first satellite television transmission in the 1960s to more recent advances in airborne collision avoidance systems and space surveillance, MIT Lincoln Laboratory has remained on the forefront of developing technology for national security for the past 64 years. Buckeye engineer Eric Evans has been at the helm of the historic research laboratory since 2006, guiding its strategic direction as well as the overall technical and administrative operations. Welding engineering alum Ernest Levert receive the 2015 BEYA Career Achievement Award from Lockheed Martin Missiles and Fire Control Executive Vice President Rick Edwards at the 2015 BEYA Awards Gala.Once called a foolish dreamer by his junior high school classmates, Ernest Levert has proven that with determination and talent, dreams do come true. Even as a child, Levert wanted to make an impact on the world. During his 28-year career at Lockheed Martin, the welding engineering alumnus (’82) has done just that, pioneering new welding innovations that impacted programs ranging from the ground to the seas, and even to outer space. Jake McQuaide (photo courtesy of SSM Health Care Foundations)Ohio State alum Jake McQuaide has one of the world’s most unique occupations. As the starting long-snapper for the NFL’s St. Louis Rams, he’s on the field for every punt, field goal and extra point. Since NFL teams only have one long-snapper on the active roster, he’s one of just 32 people in the U.S. who can claim that job title. What makes McQuaide even more unique is that he is a proud alumnus of The Ohio State University’s Aeronautical and Astronautical Engineering program (2011). It’s probably safe to say he’s the only NFL long-snapper who can run a transonic wind tunnel research project to test dynamic stall on a Blackhawk rotor blade. What do Pringles potato chips, Duncan Hines Cookies and Olay Total Effects have in common? They’re three Procter & Gamble product lines that have benefited from the talents of skilled innovator and Buckeye chemical engineer Nancy Dawes. 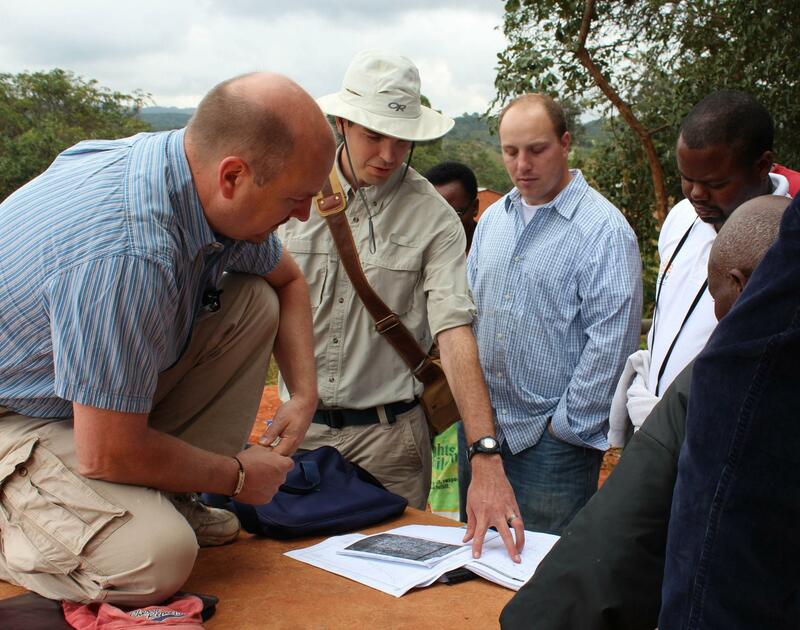 Greg Bixler (pictured above, wearing hat) co-founded non-profit Design Outreach, which aims to create life-sustaining solutions for developing countries.Greg Bixler never set out to build a groundbreaking water pump or start a humanitarian engineering organization. But once the mechanical engineering alum heard about the life-threatening water issues the world’s poorest inhabitants face, he couldn’t turn away. Bixler co-founded and is CEO of Design Outreach, the volunteer-powered humanitarian engineering organization that invented the LifePump. Unlike traditional hand pumps that tap out at 162 feet, the LifePump can pump water from more than 500 feet deep. 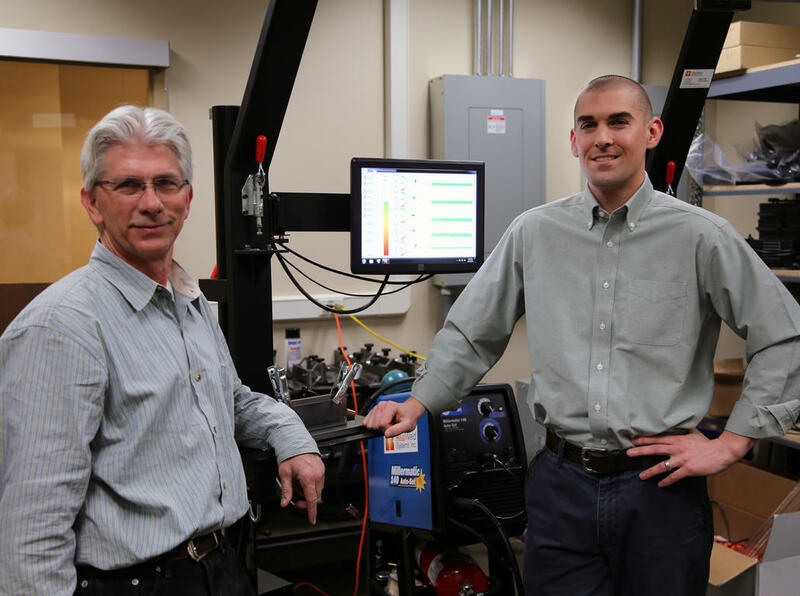 Buckeye engineers Bill Forquer (left) and Paul Boulware aim to transform welding education.When it comes to welding, explained Bill Forquer, you have to burn to learn. As CEO of RealWeld Systems, the computer science and engineering alumnus leads a team of talented Buckeye engineers who aim to transform welding education by making sure that burn time is as instructive as possible. Jackie Marshall DiMarco, chief engineer for the longtime best-selling Ford F-150 pickup, downplays being the first woman to hold the position in the truck’s 60-plus years of production. Women fill about 20 percent of engineering jobs at major automotive companies. That figure has remained steady in recent years, she said, noting that the percentages are lower for women at the management level of the firms. Today the co-owner of Pipe Line Unique Services in Texas, Bob Hyatt ran for the winning touchdown against the Penn State Nittany Lions in Happy Valley 37 years ago. He shares stories about his days with Woody, his days learning engineering, and that special fall day in 1976. Read the full story here. Go Bucks! Ralph Rockow's degrees from Ohio State led him to work on engines for rockets. In 1970, an engine he developed helped save the lives of the Apollo 13 astronauts. A generous supporter of Ohio State and the Department of Mechanical and Aerospace Engineering, Ralph says he learned many things at Ohio State that have served him well in life.